Pleural mesothelioma survivor Randy Boudreaux struggled to catch his breath a year ago when he made the roundtrip walk to the mailbox at the end of the driveway. It felt like a marathon. Today he walks the whole neighborhood briskly for a mile or two with his wife Jeanette and their dog Brandy, enjoying the scenery like never before. Life has changed significantly in a year. Keytruda changed it. Keytruda, the brand name for pembrolizumab, is an immunotherapy drug still not approved by the U.S. Food and Drug Administration (FDA) for the treatment of mesothelioma. However, Keytruda shows remarkable promise for mesothelioma patients who are able to obtain it. Boudreaux, 70, is the latest example. 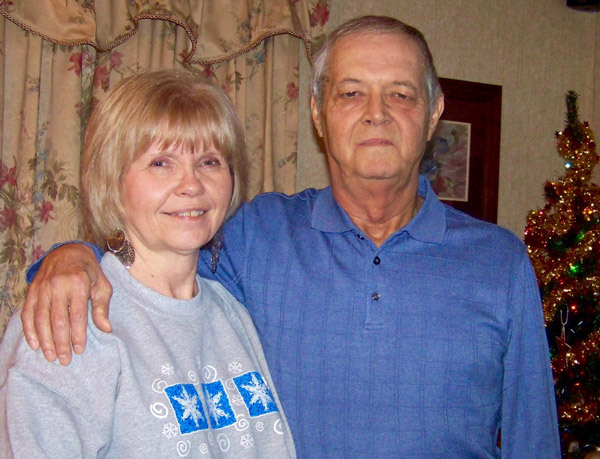 Mesothelioma survivor Walter Merth of Philadelphia had a similar experience in 2016, staging a significant turnaround with Keytruda after chemotherapy failed him. Former President Jimmy Carter brought considerable attention to Keytruda in 2015 when he credited the drug for stopping the melanoma cancer that had spread to his brain. The FDA approved the use of Keytruda in 2016 for non-small cell lung cancers that included a particular mutation targeted by the drug. And at the American Society of Clinical Oncology convention earlier this month, one study showed patients survived longer if they used Keytruda instead of chemotherapy. Boudreaux started taking Keytruda almost a year ago, replacing the chemotherapy that was no longer working. We can help you find a mesothelioma doctor who specializes in immunotherapy. When Boudreaux was diagnosed with mesothelioma in 2014, he was not a surgical candidate because of a previous surgery for non-small cell lung cancer. He had a piece of lung removed the year before on the opposite side of the chest from where the mesothelioma was found. When Boudreaux’s local oncologist struggled to treat him, he turned to Ochsner Medical Center 80 minutes away in New Orleans. Mesothelioma specialist Dr. Robert Ramirez was waiting. It was Ramirez who arranged the availability of Keytruda through the FDA’s Expanded Access program, also known as compassionate use. Treatment now includes a 30-minute infusion every 21 days — which is done closer to home — and a scan at Ochsner every three months. Walking across the room is no longer a problem, which it was a year ago. Food tastes good again, which it didn’t after so many rounds of chemotherapy. He has regained almost 20 pounds he had lost. Boudreaux looks healthy and happy. “People look at him now, and don’t even think there is anything wrong with him,” Jeanette said. He has regained an interest in the insurance agency he ran for 30 years, but turned over to his sons when he first got sick. Pleural mesothelioma survivor Randy Boudreaux with two of his grandchildren. Boudreaux spends considerable time outdoors, often trying to do too much. His pace slowed recently for a few days, but only after twisting a knee trying to chase a snake out of the backyard, another sign of his renewed vitality. He laughed about that setback. “I’ve had worse problems,” he said. Boudreaux was diagnosed with kidney cancer almost 20 years ago, fortunate that it was discovered by accident and removed before it spread. His mother died of cancer at age 49. His sister died of cancer at 67. His brother died young, too. Boudreaux knew the odds were against him, even before he was diagnosed with mesothelioma. It certainly helped he had Jeanette alongside him. The two are about to celebrate their 33rd wedding anniversary. Jeanette was the one who researched extensively every option he had. She helped connect him to Ochsner. She was the one guiding him through every awful side effect of chemotherapy and the one paying attention at every doctor’s appointment. There is no cure for mesothelioma. Although Boudreaux already has far exceeded the typical survival expectation, he knows the cancer could return at any point.